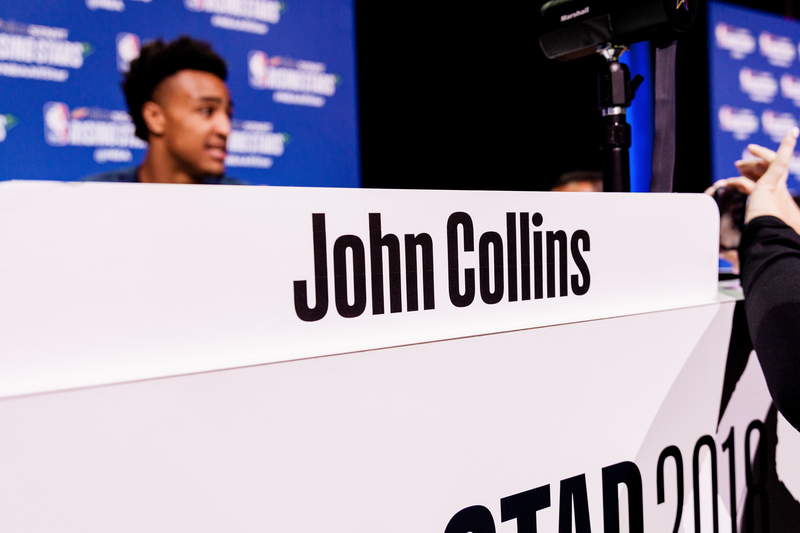 John Collins, the No. 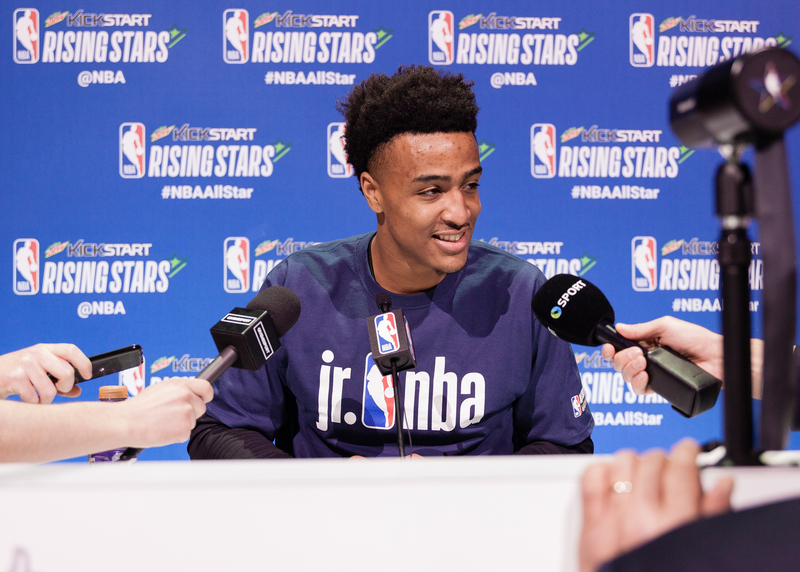 19 overall 2017 NBA draft pick and Atlanta Hawks rookie, let The Undefeated get an exclusive behind-the-scenes look at the first day of his first NBA All-Star Weekend, which is taking place in Los Angeles this year. John Collins of the Atlanta Hawks speaks with the media at the Los Angeles Convention Center in Los Angeles Feb. 16. 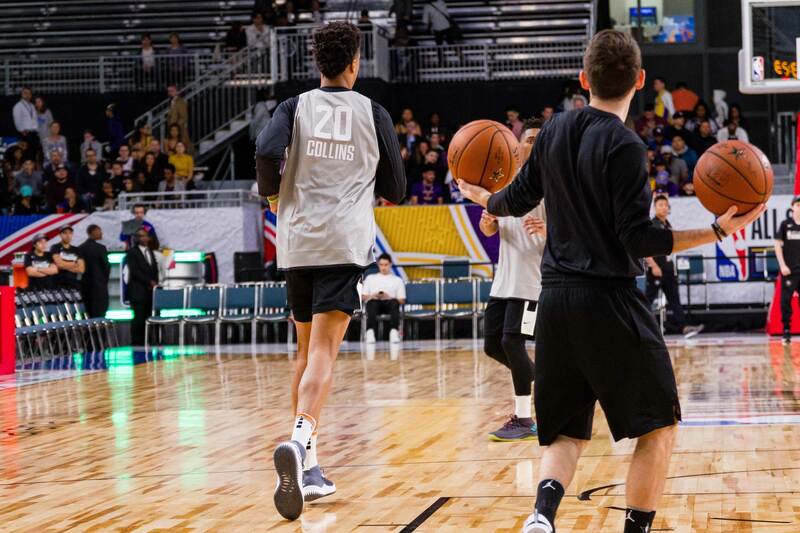 Collins competed for Team USA in the Mtn Dew Kickstart Rising Stars Challenge. 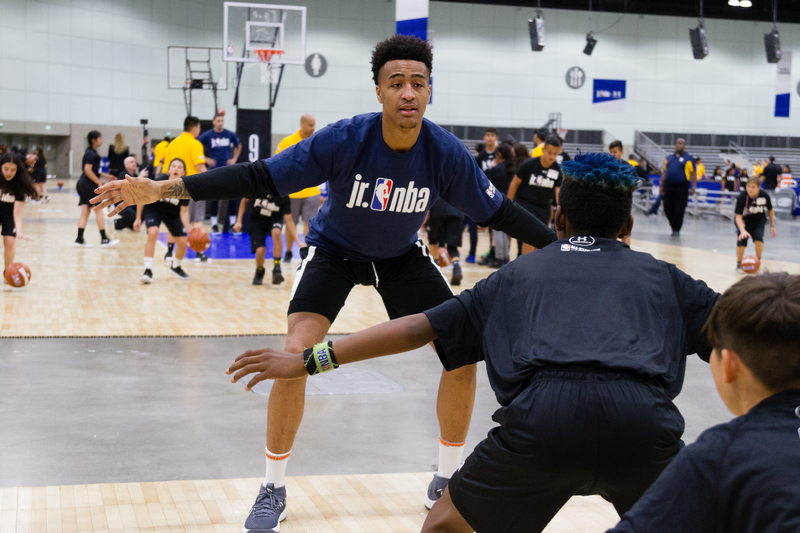 John Collins of the Atlanta Hawks (center) participates in the Mtn Dew Kickstart Rising Stars Challenge practice at the Verizon Up Arena in Los Angeles Feb. 16. Collins competed for Team USA in the game. 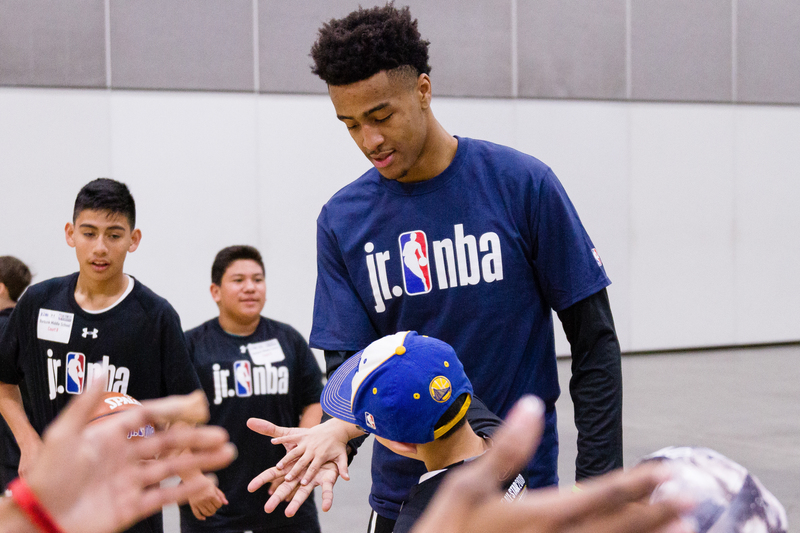 John Collins of the Atlanta Hawks (center) instructs participants in the Jr. NBA Clinic at the Los Angeles Convention Center in Los Angeles Feb. 16. Collins competed for Team USA in the Mtn Dew Kickstart Rising Stars Challenge. 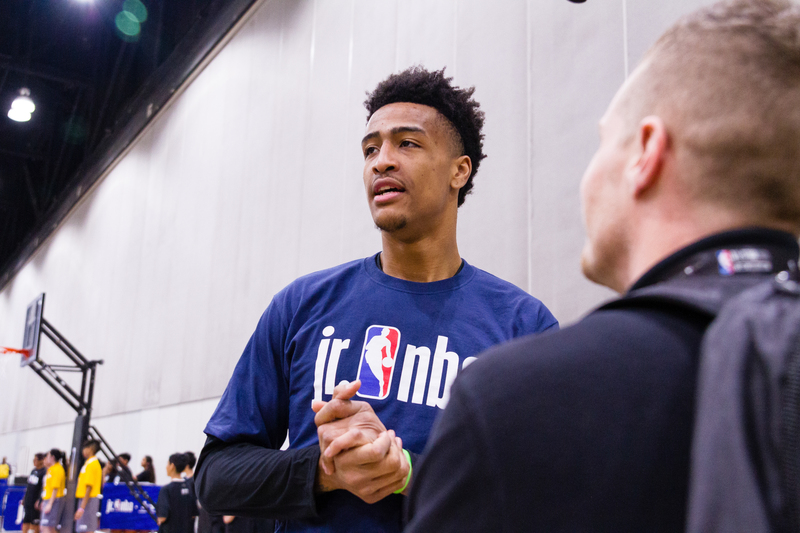 John Collins of the Atlanta Hawks interviews at the Jr. NBA Clinic at the Los Angeles Convention Center in Los Angeles Feb. 16. Collins competed for Team USA in the Mtn Dew Kickstart Rising Stars Challenge. 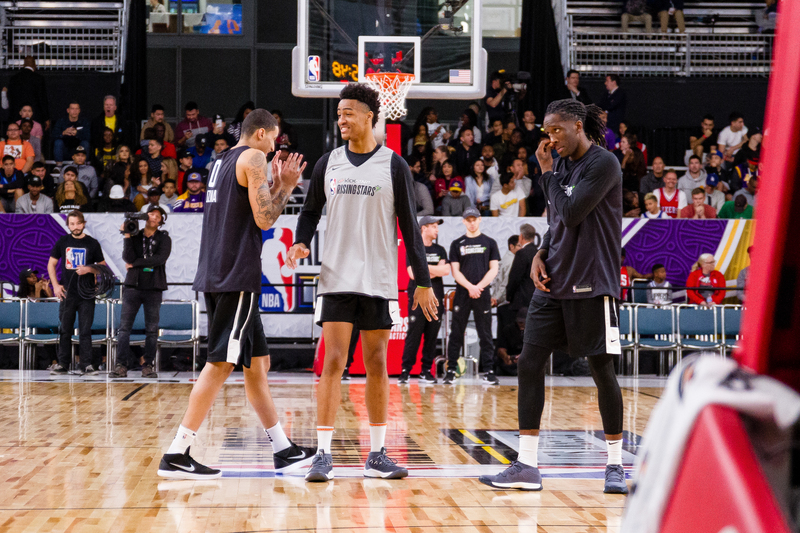 John Collins of the Atlanta Hawks (center) enjoys a laugh with Rising Stars teammates Kyle Kuzma of the Los Angeles Lakers (left) and Taurean Prince of the Atlanta Hawks (right) at the Verizon Up Arena in Los Angeles Feb. 16. Collins competed for Team USA in the Mtn Dew Kickstart Rising Stars Challenge. 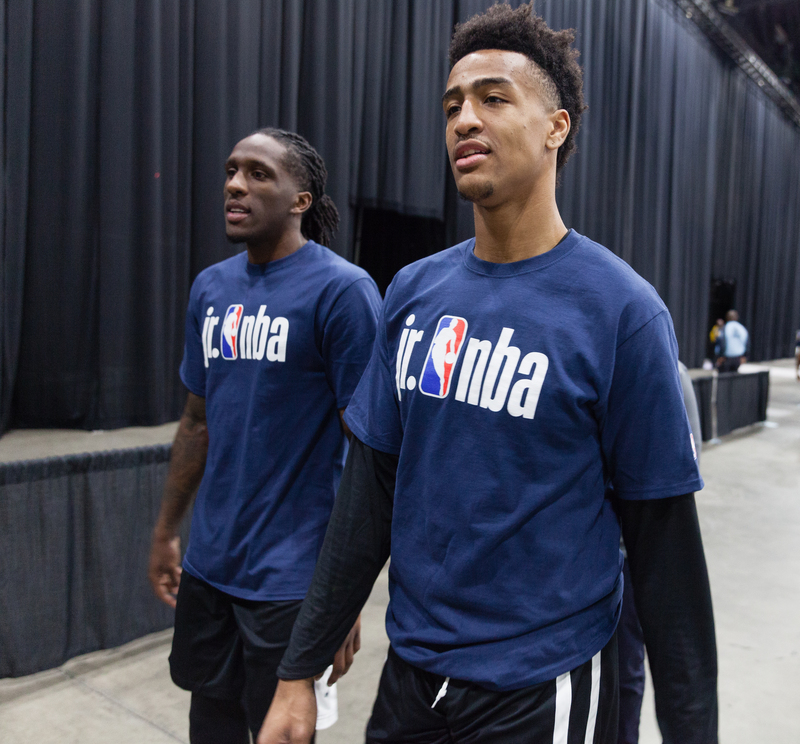 John Collins of the Atlanta Hawks (right) walks to a media availability session with Hawks teammate Taurean Prince (left) at the Los Angeles Convention Center in Los Angeles Feb. 16. Collins competed for Team USA in the Mtn Dew Kickstart Rising Stars Challenge. 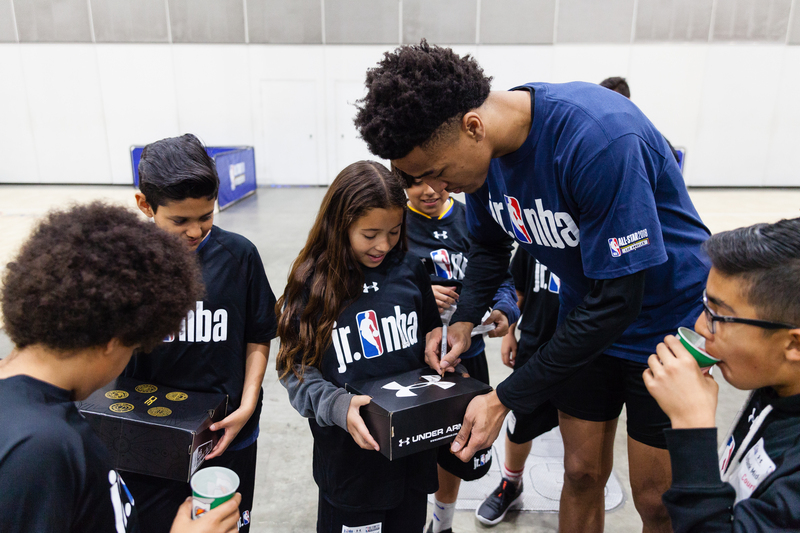 John Collins of the Atlanta Hawks (right) signs an autograph for a camper in the Jr. NBA Clinic at the Los Angeles Convention Center in Los Angeles Feb. 16. Collins competed for Team USA in the Mtn Dew Kickstart Rising Stars Challenge. 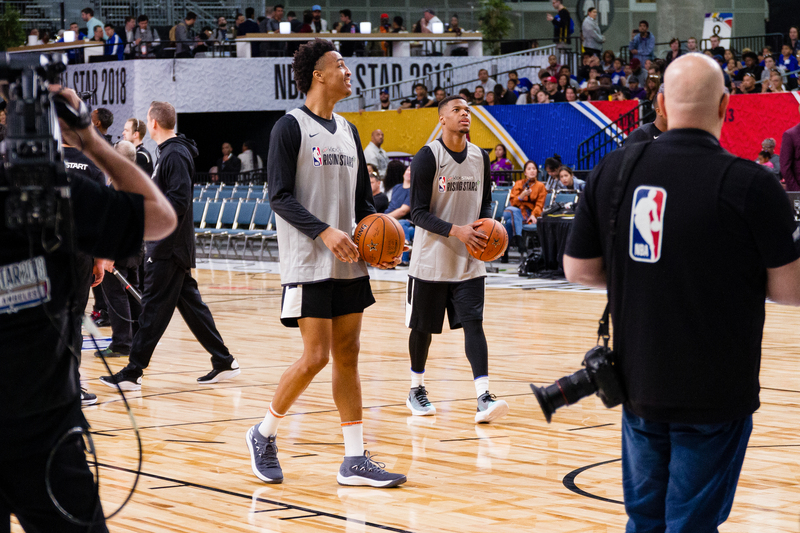 John Collins of the Atlanta Hawks (left) participates in the Mtn Dew Kickstart Rising Stars Challenge practice at the Verizon Up Arena in Los Angeles Feb. 16. Collins competed for Team USA in the game.